One man’s successful quest to align the needs of fish and farmers. It took Roger Muggli 10 minutes to manually crank open the flood gates on his newly constructed upstream fish bypass at 12-mile dam on the Tongue River just north of Miles City, Montana. Alone for this initial test run, Muggli watched with deep satisfaction as the water pushed through the gates and crawled down the engineered path he constructed, circumventing the irrigation diversion dam and reconnecting with the river. As he observed the water he was astounded to watch a northern pike and two sauger make their way over the concrete apron at the top of the bypass and into the river. These were the first three fish to pass this point in the river headed upstream in 125 years. Critics argued after 125 years, fish would have forgotten their desire to spawn upstream. They were wrong. Prior to Muggli’s intervention, fish populations above the dam had dwindled to just four species while 46 species thrived downstream. “We’ve netted all but three of those 46 species using the bypass,” Muggli reports. Lasting impression. The passion that brought this project to life can be traced back to 1956 when Muggli was just a young boy helping his dad irrigate their alfalfa fields. As they opened head gates to flood their fields, fish would sweep in with the water. It bothered Muggli, who would toss as many as he could save into a bucket, hop on his bike and race them to the nearby Yellowstone River. As a youth he felt helpless, but 30 years later Muggli hadn’t forgotten the lesson of the bass. When he became the third generation of his family to take the reins as Tongue and Yellowstone Irrigation District manager he finally could address the issue. In 1989 Muggli called a meeting at the dam attracting around 11 agencies and groups. Those in attendance were excited to proactively address the issue of fish entrainment in the canal. “I was exposed to a lot of perspectives on how to fix the problem and the money just appeared. Within 6 months the groups had pledged over $700,000 to the project,” Muggli says. Farmer ingenuity. Muggli wanted to save money where possible, so he became general contractor, doing much of the work and problem solving himself—something he’s used to doing as his family owns and operates the largest livestock pellet mill in Montana. 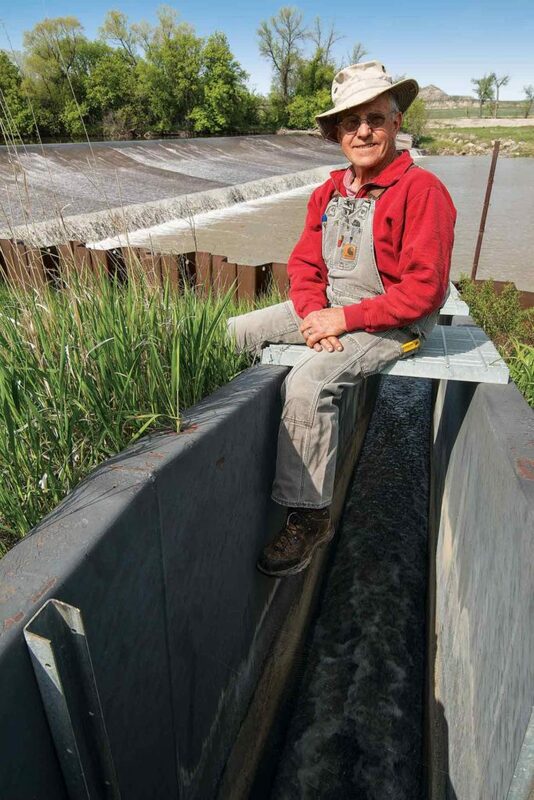 He settled on a louvre system to steer fish away from the canal intake. Water comes in the head gate at the dam and swirls past 90 feet of vertical metal slats situated at an angle just an inch apart. “They’re tipped into the flow of water so it creates little vortices. 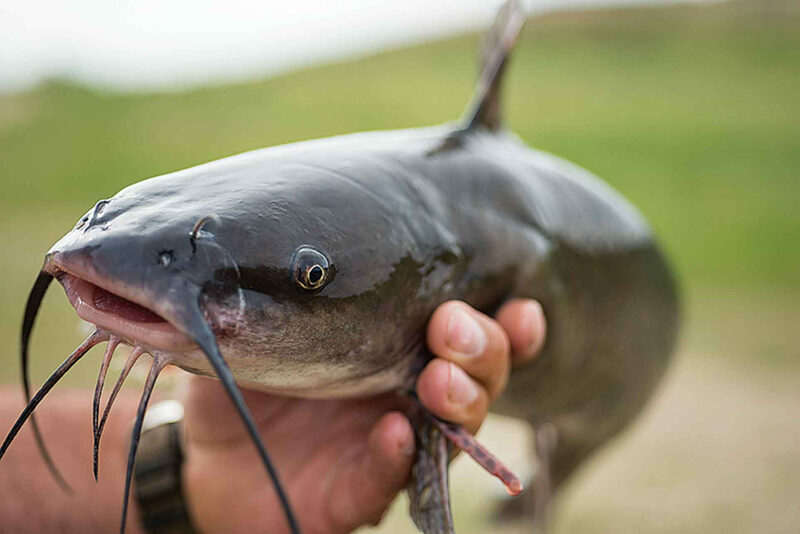 This makes a sound and a feel the fish don’t like so they stay to the other side of the intake and are bypassed back to the river,” he says. Money ran a little short, but in true farmer fashion, Muggli reused the old head gate openers plus one from an abandoned irrigation project, saving $5,000 a pop and recycled heavy stainless steel doors from a nuclear missile silo to serve as the gates themselves. Full circle. The louvre system was finished in 1997 and fish were safely bypassing the canal, but Muggli wasn’t done. In 1998 he started the 580-foot upstream bypass to restore fish movement to the upper Tongue River. Finished in 2010, the 20-plus-year project was a smashing success as fish once again swam freely upstream and down. On-farm research looks at planting into cover crops that stay on the field a little longer. Clever leasing and organic production launched this new farmer.